If you've been reading this blog, you know by now how much I love spending time with my children. During this time of year, when the weather is great, one of our favorite things to do is to visit one of the local playgrounds. It's not just fun for the kids, either, as I'm able to enjoy myself as well from time to time. Playing outside is great for your child's physical health, but did you know that the playground, for example, can help to boost your child's motor skills? By playing, especially on a playground, children are able to be creative by exploring what's around them, thus learning more about both themselves and their surroundings. 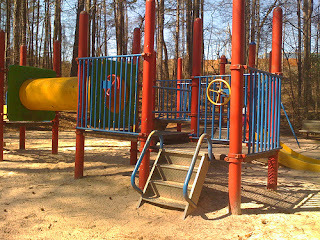 As a result, the playground is one of the best places for your children to boost their motor skills. 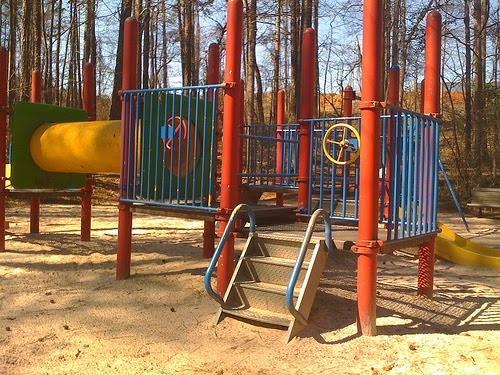 Here are some ways that the playground can be beneficial in this way. Traveling through the tubes: Some playgrounds you might visit will have tubes for your children to crawl through, which can be a lot of fun. Not only are they fun to travel through, but they can benefit your child in that it will help them to develop both body coordination skills and core strength. Swinging from the monkey bars: A personal favorite of mine from when I was a child, monkey bars are great for your child's development in a couple of ways. For one, they will help to develop your child's upper extremity and hand strength. Not only that, but it will help with their coordination and how to make the mind and body work together with one common goal in mind. Up and down on the see-saw: Again, good coordination between the mind and body is important in your child's development. Not only are balance and core strength both required and built when using the see-saw, but coordination and cooperation come into play as well. By learning to cooperate with others, it helps your child become better with working with others. As adults, we understand how important teamwork is, and it's best for your children to start getting used to it at an early age. Having fun on the slides: Not only are slides arguably the most fun part of any playground, but they're great for developing your child's motor skills as well. They help to develop the vestibular system because when you're going down a slide, your body is moving and your head can be in different positions at different times. Also, it's important to consider what's taking place because your child actually goes down the slide. To get up on the slide, they need to be able to climb the stairs of the slide, which means they need to be able to balance on a single foot as they climb the slide. It's the little things like this that we may not pay very close attention to at first, but they're instrumental in your child's early development. When it comes to play, what have you found to beneficial in your child's development? Share your thoughts, ideas, and stories in the comments below!